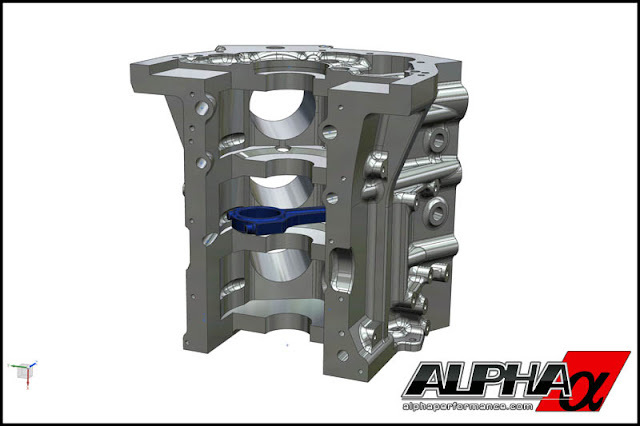 AMS Performance just released some information on their new Alpha Billet VR38DETT block. 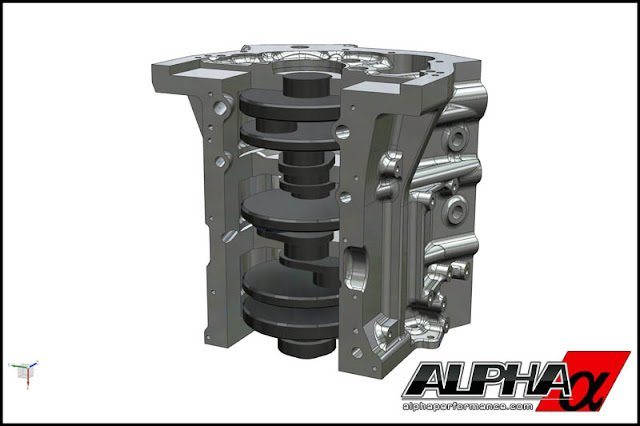 The stock cast aluminum block has been proven to out beyond 1000 horsepower, but it is a stock block, and occasionally has some issues with big power. 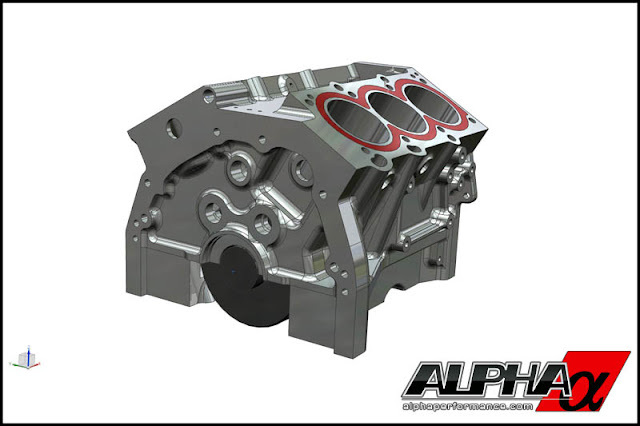 A billet is a single piece of aluminum, that is then cut, or CNC'd into a part, this case a case for the spinning, and movy bits in an engine. From the pics it looks like they are making it as an open deck block, vs the closed deck block that is the factory VR38. Perhaps they are making it open deck for cooling, then putting an additional stiffener around the bores to keep them from moving around under huge cylinder pressure. Something you can cast, but hard to do in a billet. Don't expect this to be an in-expensive piece. This is just for the guys going for crazy numbers that want to minimize failures. Check out the post on GT-R Heritage.